Justice of the Peace Tony Polumbo is planning to retire this year, and a primary election will be held in March to determine who will be on the ballot in November to succeed him. Polumbo holds the Precinct 3 Position 2 spot in the local judiciary. Polumbo is well known in North Forest and East Harris County, for his work with teens in Teen Court, and his innovative sentencing and other court practices. Prior to his 20 years service as a J.P., Polumbo was a state legislator for this area, for 15 years. Raymond Sanchez is currently a court coordinator in Judge Mike Parrott’s court. He has been working in the justice system since he was a pre-trial officer for Judge Leal in 1991. He cites this long record of experience as one reason to elect him. His other experience includes knowledge of the many facets of justice of the peace courts, including adult and juvenile probation, evictions, civil cases, jury trials, traffic arraignments, small claims court, mental health cases, bankruptcy, and much more. Sanchez was educated at Lee College and the University of Houston. He is bilingual, useful in many of today’s court proceedings. Dane Listi is an attorney in Baytown, and notes that his family has been in East Harris County for 53 years. Listi was educated at Lee College and the University of Houston. His wife is a flight attendant, and his stepson is in the army, serving his 3rd tour in Iraq. Listi’s practice has made him familiar with J.P. court, he said. This has included criminal and murder cases, traffic tickets, civil and small claims cases, juvenile and family cases, and more. Listi is also the City Attorney for Old River-Winfree. He has had experience as a substitute judge for Judge Sylvia, he said. Listi is also a Rotarian in Highlands. Don Coffey is a retired attorney in Baytown. He was educated at Lee College and the University of Houston. He has been a Regent of Lee College for 26 years. His experience includes working as a young man for Exxon for 10 years, and later in the office of Congressman Gene Green. He reviewed the history of the J.P. courts, and he praised Polumbo’s outstanding work in Pct. 3 Pos. 2. He remarked how important a local court can be, and how much it affects your daily life much more than county courts. Despite a gloomy economy, the Greenspoint District had much to celebrate in 2009. Recent projects like IDI’s 103-acre Greenspoint Business Center and the 1,000-acre Pinto Business Park earned Greenspoint accolades as one of the nation’s top five places for locating your logistics company. Greenspoint’s proximity to IAH and major freeways were cited by Expansion Solutions Magazine as additional factors in the award. The Pinto Business Park’s prime location enticed the food distribution giant Sysco Corporation to trade its I-10 East distribution center for a new, state-of-the-art facility in Greenspoint. Halliburton Co. relocated from downtown Houston to an existing 94-acre office park near Greenspoint and Bush Intercontinental Airport. The office park will be renovated to include new research and development facilities, a cafeteria, child-care and fitness centers, and two parking garages. The move brought 2,200 employees to our area. To maintain ease of mobility in and around Greenspoint, two road construction projects began in 2009: a TxDOT project widening the Sam Houston Parkway in both directions between I-45 and Hardy Toll Road, and a Greenspoint Redevelopment Authority project reconstructing Greenspoint Drive, enhancing sidewalks, and adding landscaping, public art, and medians along the street. New street signs featuring Greenspoint’s logo went up around the District. The new signs help build our identity as a business center and make it easier for people to find their destinations. The Greenspoint Redevelopment Authority brought some more fun to the District in 2009 with the opening of Buckboard Park. The park features metal and tile mosaic animals and insects, shaded picnic tables, and outdoor education. It quickly became a magnet for local children and earned the Redevelopment Authority a prestigious Mayor’s Proud Partner award. Greenspoint continues to transform itself into a district known for its public art. New sculptures adorn the District and make Greenspoint a more creative and visually interesting community. We are very proud of these accomplishments and look forward to an exciting and successful 2010. An 18-year old man suspected in the home invasion and shooting death of two people, and wounding of two others, was shot and killed by deputies after leading them on a chase in Northeast Houston. 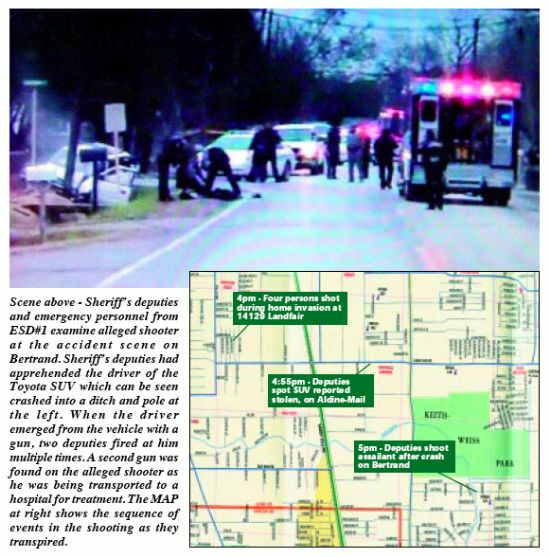 A spokesman for the Harris County Sheriffs office, Christina Garza, said that the suspect, Jose DelaRosa pointed a gun at the pursuing officers, and may have fired several shots at officers after crashing a vehicle that was believed to be stolen from the crime scene. Deputies reportedly returned fire, striking DelaRosa multiple times and fatally wounding him. The incident began around 4 p.m. on Thursday, Feb. 4. Harris County Sheriff Deputies responding to a call at 14129 Landsfair found Kelly Seymour, 41, who had been shot. Seymour told the deputies that other people were shot inside the residence across from their location, at 14201 Landfair. Deputies entered that residence and found Paul King, 44, with a gunshot wound. A continued search of the residence revealed two additional white females who had sustained gunshot wounds and were deceased. Seymour and King were transported to an area hospital in critical condition. The names of the deceased have not been released. Witnesses told investigators that two Hispanic males came to the residence and forced the front door open and started shooting. Seymour was able to get out and seek assistance at a nearby residence. A suspect then took one of the victims vehicle, a Toyota 4-Runner, and fled the scene. The sheriffs department said that the description of the get away vehicle was broadcast over the police radio in the area. Sheriffs deputies from the East Aldine tactical unit responded, and spotted the 4-Runner on Aldine Mail Route about 5 p.m. The chase was short as DelaRosa lost control and crashed into a ditch and light pole in the 3000 block of Bertrand, about four miles from where the bodies were found. Investigators say they do not know the reason for the initial invasion and shooting. They have not elaborated on the other person who witnesses said entered the home with DelaRosa. Earlier reports of this incident mentioned only one assailant, and did not indicate gunshots at the officers from DelaRosa. The investigation is ongoing, according to the sheriffs office. GREENSPOINT - The newly renamed Houston Intercontinental Chamber of Commerce held an International Business Economic Forum as its monthly luncheon for members and guests, which included security experts from local corporations conducting business internationally, and consul representatives from a number of foreign countries. The luncheon was held last Thursday, at the Hilton Hotel at Greenspoint. Title sponsor of the Forum was the East Aldine District. 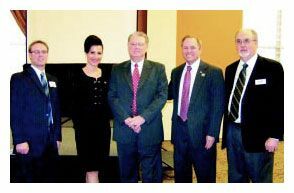 An additional part of the program was the introduction of the newly formed North Houston Economic Development Council, with Dr. Stephen Head as the interim president. Unveiled at the meeting were the new logos for the NHEDC and the HICC, with credit for their designers, Jeff Kaiser, Elizabeth Nguyen and Christina Gray. Dana OBrien and Dave McIntyre spoke on Global Law and Compliance in the first morning session, and Ron Hicks and Alexandra Rodriguez spoke on Corporate Security in the second session. The keynote speaker at the luncheon was Dr. Dave McIntyre, nationally known specialist in homeland security, who has held a number of security positions with the military, various federal administrations, and teaches security at several universities. McIntyre spoke in place of Amir Mirabi, who was unable to attend. McIntyre commented on six main issues facing America today. One, the most important issue of the state of the economy, and the huge debt we must now deal with. Two, Terrorism and the change in the nature of terrorism, due to technology and the internet. Three, International Security between countries, and responsibility for ungoverned parts of the world. Four, Major Threats to peace, such as nuclear or biological attacks on a major U.S. city. Five, Technology, and the realization that old types of jobs are not coming back, and we must adjust to a new information age. Six, Our Business must realize that we are serving customers needs, not providing a product. McIntyres upbeat message at the end was we have the means to achieve a good outcome from all these threats, but Congress must focus on solutions, and then we need leadership to fight terrorism, and correct the economy. Hospital, according to Jason Fisher, the new CEO. Fisher and his partner Stephanie Victorian, Chief Nursing Officer of St. Anthonys Hospital, are heading up the 39-bed hospital and will expand medical and clinical staffs. Renaissance Hospital-Houston is one of nearly 5,000 that U.S. News evaluated for the latest Americas Best Hospitals rankings. St. Anthonys is the only hospital located right in this northeast – Little York corridor and our goal is to establish this hospital as one of quality care the community can count on for emergencies, as well as traditional services that will range from bariatrics to orthopedics and pain management, said Fisher. Even as we expand, integrating exciting new technologies into St. Anthonys, we will never lose sight of our priority: our patients. Our mission is to demonstrate our commitment to the improvement of human life by delivering quality healthcare services with kindness and compassion, added Fisher. 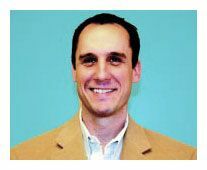 Fisher, a Baylor University graduate, has spent his whole career in the medical field. He was with Northstar Healthcare Inc., as the VP of Physician Services before joining St. Anthonys. He is a diligent defender of patients rights and has worked with multiple medical businesses in the Houston, Dallas and Austin market. WestMed-owned hospitals, including St. Anthonys and South Hampton Community Hospital in the Dallas Metroplex, are managed by Austin-based Arise Healthcare Management. On Feb. 15, Presidents Day, from 12 noon until 2 PM, St. Anthonys will host a ribbon cutting with the Houston-Intercontinental Chamber of Commerce; a Health & Wellness Educational Clinic for area parents and their children; snacks, prizes and entertainment. The popular Rositas Mexican Restaurant will be grilling burgers for the event. Special invitations have gone out to students at nearby Garcia Elementary, Walter W. Scarborough Elementary, Ethel R. Coop Elementary and Patrick Henry Middle School to attend the special event with their families. For more information, call 713-469-4388 or 713-697-7777.